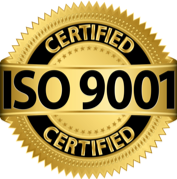 As a leader in genome editing and stem cell technologies, Applied StemCell provides ISO:9001 quality, customizable solution-oriented services for preclinical development. We offer customized drug discovery screening, downstream assays in animal models, cell line irradiation, and other custom research services so you can focus on the main aspects of your research. We will achieve your unique requirements by customizing each part of your project to fit the stage of your research. Custom stable cell line model generation using CRISPR/Cas9 for disease , antibody validation, and drug screening. Customizable, comprehensive panel of cell-based assays to assays that validate, evaluate cell line function and behavior and more. We offer custom in vitro disease models for safety and efficacy testing of early, preclinical screening of potential drug candidates. Applied StemCell offers fully customizable platform for downstream assays in animal models. 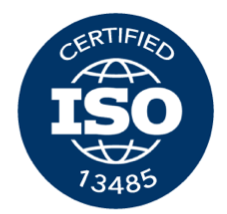 Applied StemCell offers custom gamma (g)-irradiation service for patient-derived, pooled, genome edited/corrected human and animal cell lines. We provide the following preclinical development services and support: Fibroblasts Immortalization, Custom Primary Cell Isolation, and FFPE Service. - Coordinates across scientific groups, and provides updates and official reports on project progress. Li, R., Baskfield, A., Lin, Y., Beers, J., Zou, J., Liu, C., ... & Zheng, W. (2019). Generation of an induced pluripotent stem cell line (TRNDi003-A) from a Noonan syndrome with multiple lentigines (NSML) patient carrying a p. Q510P mutation in the PTPN11 gene. Stem cell research, 34, 101374. Li, R., Pradhan, M., Xu, M., Baskfield, A., Farkhondeh, A., Cheng, Y. S., ... & Rodems, S. (2018). Generation of an induced pluripotent stem cell line (TRNDi002-B) from a patient carrying compound heterozygous p. Q208X and p. G310G mutations in the NGLY1 gene. Stem Cell Research, 101362.